For those looking for Columbus, Ohio sales furniture, you are only one step away from using Amish Originals Furniture Company. We have been around for twenty years and are still growing strong today. We carry beautiful handcrafted furniture that you will not be able to find anywhere else. That’s why this Columbus, Ohio, furniture store is the people’s favorite. CLEARANCE – Don’t let the name fool you. Just because it says clearance doesn’t mean that the quality is compromised. Visit our site, where you’ll find end tables and dining room tables at a very affordable cost. Or team of experts is available to help you whenever making those tough decisions in life. We are built on excellence and so is our customer service. At Amish Originals, we want to see you happy. That means everything to us. Remember, we are always available and can answer any questions you may have regarding our furniture. Our customer service dates back to 1925, when the entrepreneur Winbigler started his feed and flower mill that would eventually become Amish Originals. He believed that a firm handshake is better than any contract. That’s why, when you shop with us, you’re not only getting good durable furniture but also a smile and handshake every time you walk through our doors. Should you be looking for Columbus, Ohio, sale furniture in the future, you should give Amish Originals a try. We are sure to have what you’re looking for, and you’ll always leave pleased with our quality. Our customer service cannot be beat and neither can our furniture. 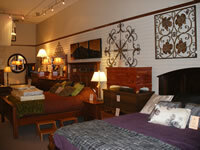 Stop by today and see why the Ohio community has been shopping with us for the past twenty years.